A potential buyer for Plantation Country Club may redevelop the course, doing away with golf altogether. GARDEN CITY — Residents and members of the Plantation Country Club are on edge. The Garden City golf course is on track to be sold, and the new owner may have a future vision of the property that doesn't include golf, or much open space at all. Instead, the redevelopment may include possible strip malls and more houses. 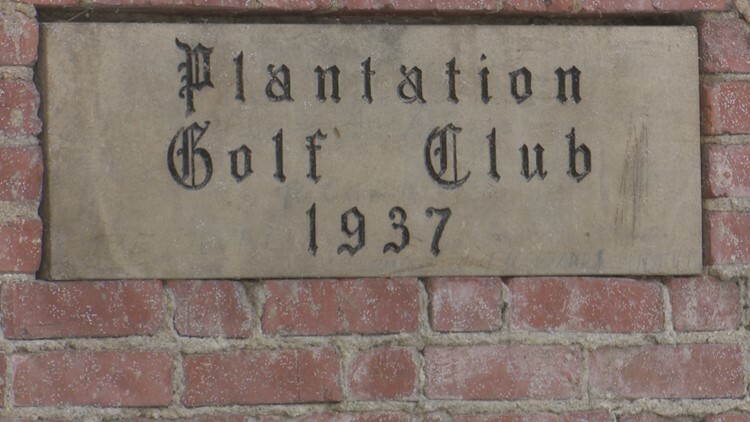 Plantation Golf Course is the oldest course in southwest Idaho, and it is also one of the few open spaces in Garden City. "It's a family here, everyone is wonderful and welcoming," said Terri Nero, whose house backs up to the course. But now, the tight knight community is anxious. American Golf Corporation, Plantation's current owner, is in the process of selling it to California real estate developer Will Gustafson, according to a coalition of residents and members who have organized in opposition to the sale. "The folks who want to see plantation stay as it is, or at least as much as it is as possible, know that anything you do in terms of development, is going to diminish this resource," said the group's spokesman, Craig Quintana. According to Quintana, Gustafson has said he will redevelop the property for commercial and residential purposes, but the scope of the development is unknown at this point. "It's going to wreck everything that is here, that everyone loves," Nero said. "Whether they are going to redesign the golf course or they are going to take it totally away and take down all the trees and take all the green away." In addition the loss of open space, opponents are concerned about added traffic in the already busy section of town. "It would be a shame," Plantation member Sue Traci said. "For one, it would add a tremendous amount of traffic to State Street, which is bad enough as it is, without any more business or additional retail." Residents are also concerned how redevelopment could affect wildlife. "This is a haven for wildlife, eagles, cranes, all manner of waterfowl, and deer," Quintana said. Homeowners are worried about how possible redevelopment would affect their property values. "If we wanted to sell this piece of property, with a golf course right there, great," Nero said. "with a bunch of houses or a strip mall, not so much." "A team of both local and out-of-state investors and individuals with golf and real estate experience is currently in escrow to purchase the plantation country club. At this time, the team is conducting due diligence to better understand the property, the viability of the 18-hole golf course, and its future potential. Should this process reach a successful conclusion and a sale is finalized, the group has agreed to retain American Golf as the management company. The team will engage with club members, homeowners, and neighbors to gather input as an important first step in assessing future opportunities for the property." Meanwhile, the Save Plantation Coalition has presented an proposed ordinance to the Garden City Council to preserve open space and limit development on the golf course. "My hope is that this developer realizes that he is messing with peoples lives and he will have a heart and go away," Nero said. KTVB reached out to Garden City Mayor John Evans on Sunday for a comment on this story, but did not hear back.